We provide people in hazardous industries with the training and know-how to perform their jobs safely. Clear and concise communication is essential in maintaining an effective OSHA compliance program. We encourage our clients to be open and honest about safety concerns and budgeting plans for achieving OSHA compliance. Our team of safety professionals are dedicated to the confidentiality of all our clients and their employees. Our comprehensive site inspection and training reports provide our clients with valuable safety performance insight to avoid costly setbacks. If you are interested in discussing a customized safety training solution to fit your unique needs, please fill out the form on this page. Contact us today to discuss a training solution to fit the unique needs of your organization. An estimated 1.6 million Americans are employed in the construction industry, half of which work in residential construction. Each year, roughly 38,000 construction injuries are reported, with some 21,000 involving days away from work.  Pike Consulting Group is a company comprised of authorized safety professionals specializing in general industry and construction safety management systems in the Metro Atlanta Area. Pike Consulting Group’s founders, Mitchell Smith and Gary DeGeorge Sr. designed its client’s safety management systems with an approach allowing employers to grow their businesses, maintain safe and adequate personnel and to avoid hefty citations. One of the best ways to protect your employees, eliminate hazards, and ensure compliance is to continuously assess your workplace conditions and take immediate action where you have gaps. Pike Consulting Group’s unique solutions will alleviate you from the daunting challenges associated with maintaining OSHA compliance standards.